The Nevada P-20 to Workforce Research Data System (NPWR) is a state of the art research tool that provides Nevadans with unparalleled access to the knowledge needed to understand the trends shaping our state's education and workforce outcomes. Using state of the art technology and best-in-class security, NPWR is designed to inform education and workforce policies and initiatives across Nevada. 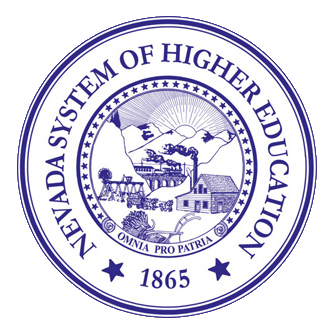 NPWR is the result of a collaborative effort by the Nevada Department of Education (NDE), the Nevada System of Higher Education (NSHE), the Department of Employment, Training and Rehabilitation (DETR), and the Center for Innovative Technology (CIT), a nonprofit technology organization. Funded by the United States Department of Education 2012 Statewide Longitudinal Data Systems Grant Program, NPWR was developed as part of an inter-state partnership between three Nevada state agencies, along with the Commonwealth of Virginia and the Center for Innovative Technology (CIT). NPWR is built on a federated system that merges data across participating agencies using a sophisticated matching algorithm. NPWR leaves all private data behind the existing firewalls of each agency and de-identifies all data during the matching process. Using this de-identified and matched data, NPWR generates dynamic reports from participating agencies for the purposes of better understanding the trends shaping Nevada's education and workforce outcomes. NPWR gives agency leaders insight into Nevada's education and workforce programs, initiatives, and outcomes. Through its advanced reporting functionality, NPWR enables all Nevadans to understand firsthand how Nevada's K-12 schools, colleges, and universities are preparing Nevadans for tomorrow's jobs. Click on the Reports tab to learn more and to view the reports NPWR is generating for the State of Nevada.